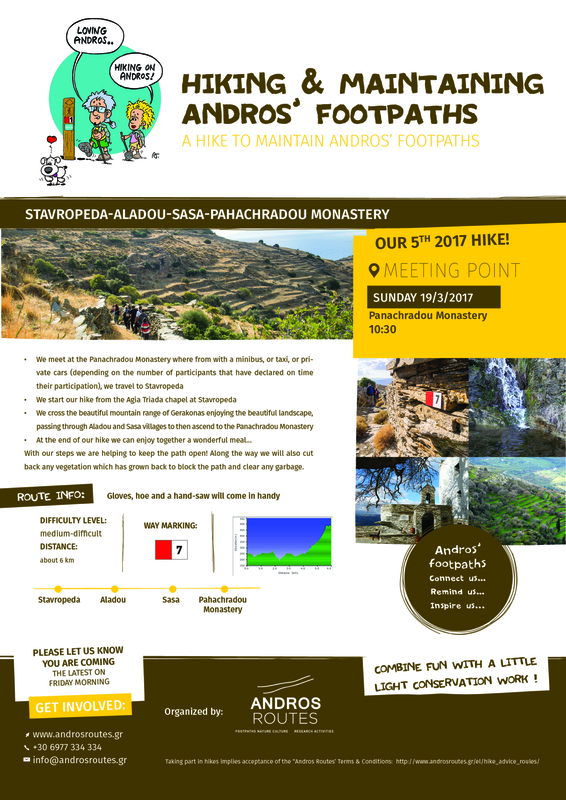 Join us on our 5th 2017 maintenance hike from Stavropeda to Aladou-Sasa-Panachradou Monastery ! Please let us know you are coming the latest on Friday morning ! before Clean Monday… a hike ! from Tromarchion Momastery to Aidonia &... Join us in one more enjoyable hike from Amolochos to Frousei mill village !